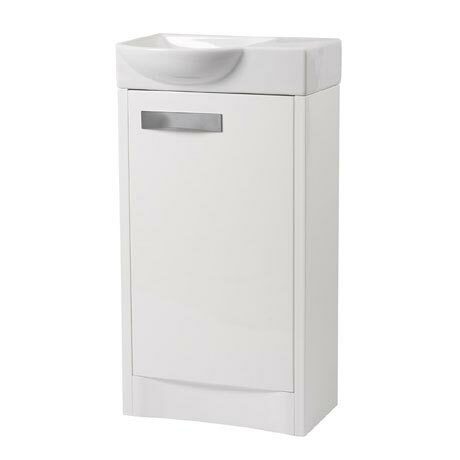 The Mia 450mm Freestanding Unit is an ideal addition to any cloakroom or small bathroom thanks to its compact design. Featuring a reversible soft closing door with quick release hinges. The framed door panel and curved plinth adds character to the unit whilst the stylish chrome plated handle adds an elegant finishing touch.